But we LOVE Tom Brady at The Enriched Stitch. Mary Susan just got her GOAT canvas back from the finisher. And yes…that’s Tom’s number in the letters. 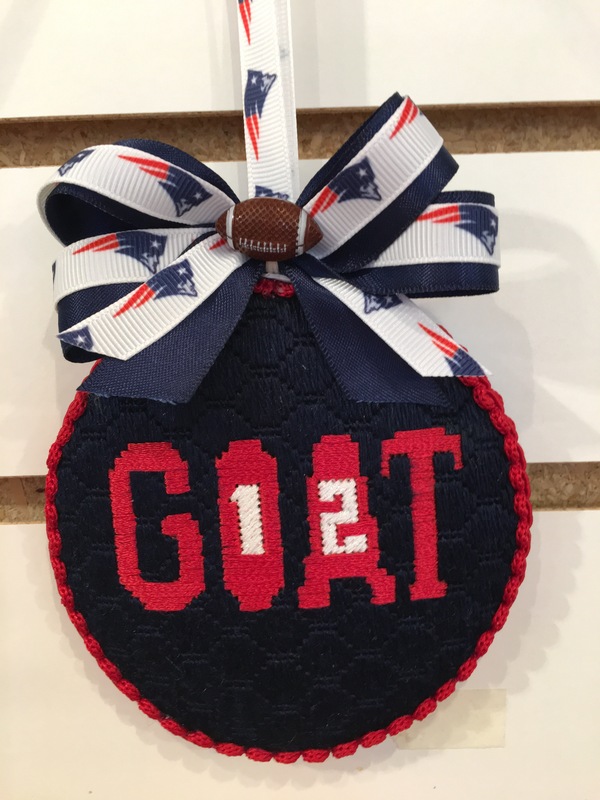 If you’re a Patriots fan, or have someone in your life who is, then this is a must stitch. Mary Susan bought ribbon on Etsy to finish off the ornament. Let us know if you want to purchase the ribbon when you get your canvas. The ribbon is limited edition at the shop. Now I have to stitch my husband one of them! What does Goat stand for?